Celebrate Cinco de Mayo! 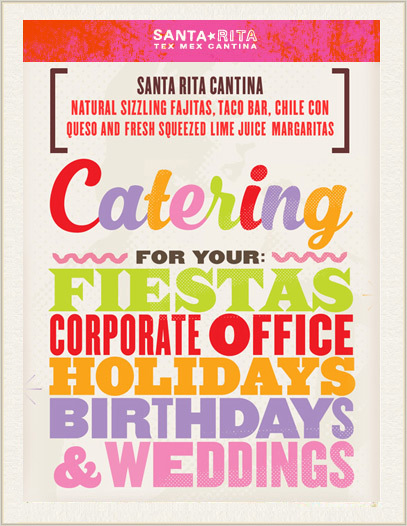 Come enjoy our Cinco de Mayo Day with Drink Specials and the Best Fresh Lime Margaritas! Don't miss it Sunday May 5th! 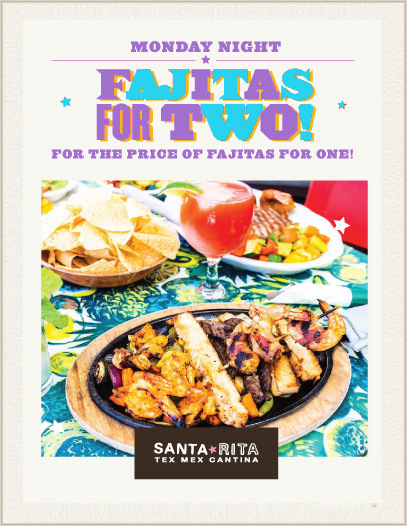 Order beef, chicken, combo or veggie fajitas for two every Monday after 3 pm! 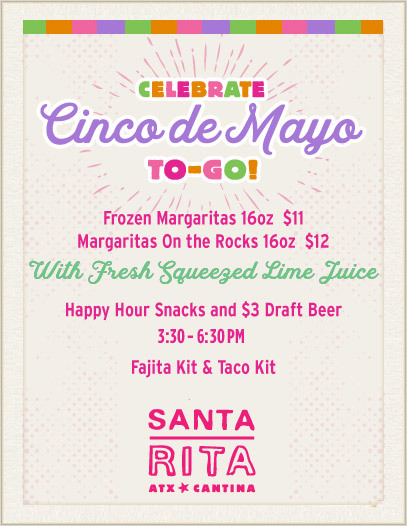 Come enjoy our Cinco de Mayo Day with Drink Specials and the Best Fresh Lime Margaritas! Don't miss it Sunday May 5th!